Or maybe a LOT of patience. I thought I HAD a lot of patience when I became a parent. I had spent fifteen years working with young children and I rarely lost my cool. (Though I have written before about how much easier it is taking care of other people’s kids.) I really thought I would be all set. So I did my best. I owned my feelings. I didn’t blame my family members for my malaise. I took deep breaths. I tried to balance my need for hydration with my desire to avoid pit stops. I apologized when my tone/volume got out of hand. It made me realize how much being well-rested impacts my ability to keep a good attitude. 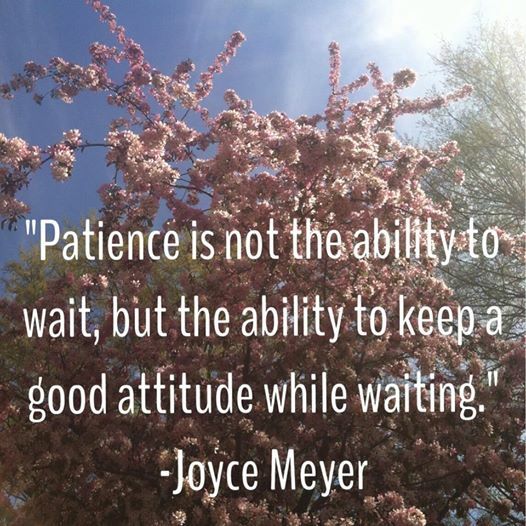 It made me think of all the ways I could coach parents to g-r-o-w their patience on a daily basis. So, this Sunday at 1:00pm (EST) I’m going to give a free talk online about HOW TO GROW YOUR PARENTING PATIENCE. If you’re considering PEAK Parenting, this will give you a better idea of what I’m all about, and how the program might help you reduce stress, enjoy your kids more, and have a peaceful home life!